These Old Fashioned Green Beans only require a handful of ingredients, easy to make and requires very little time. Simple ingredients but lots flavor! Hubs made his monthly trip to Costco last week and bought me a bag of gorgeous fresh green beans. I love green beans but I don’t cook enough with them. However, I couldn’t pass out an opportunity like this because these beans were super fresh. They were simply asking me to make something good. Many times I’ll just roast them in the oven with mushrooms or other veggies I have around, but this time I wanted to add my favorite ingredient, bacon. 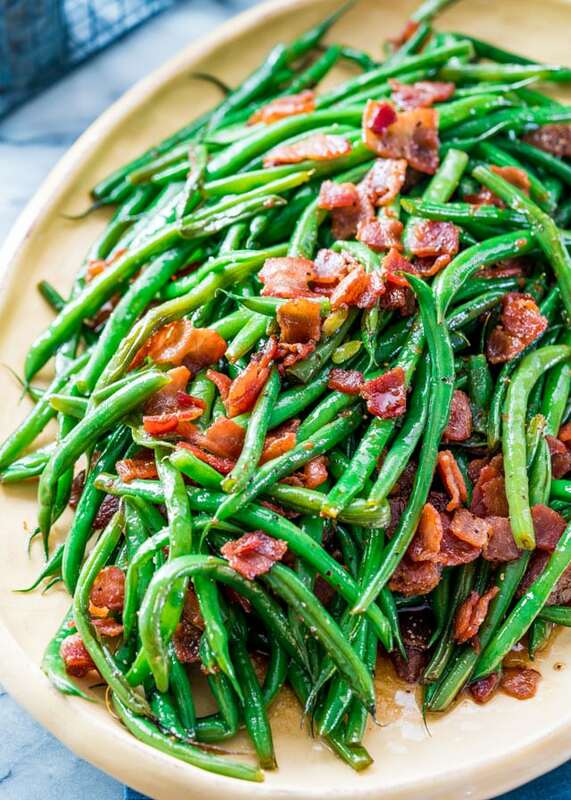 Bacon and green beans are great together, a classic, marriage made in heaven, so if I was going for an old fashioned recipe, adding bacon was a no brainer. You want to crisp up the bacon perfectly because this will add a nice crunch to the beans and tons of flavor. I added soy sauce and brown sugar for that sweet and salty combination. 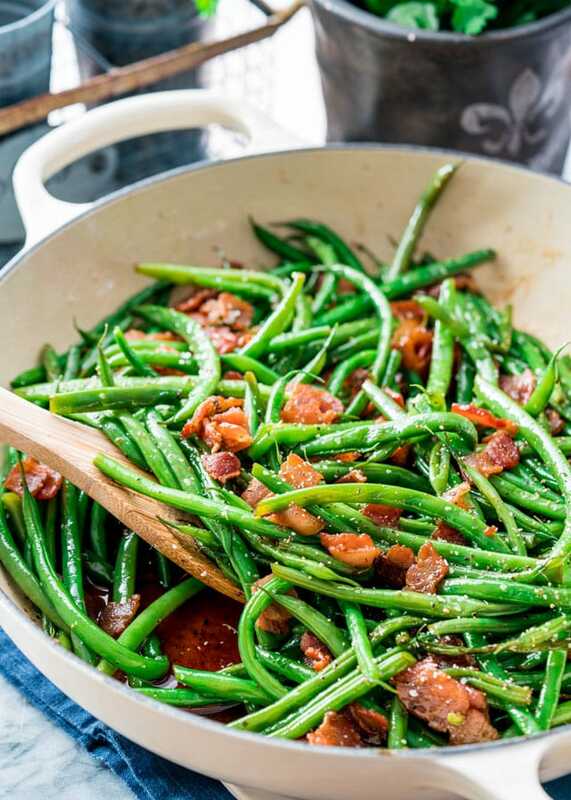 Add the beans, cover up the pot and cook for 15 minutes and you’ll end up with perfect green beans every single time. The beans will still have a nice crunch to them, and amazing flavors from the bacon and brown sugar. Bacon does make everything taste better. 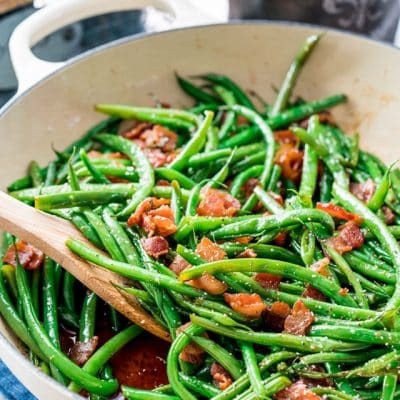 These green beans are a great side dish to any chicken dish, pork or beef, nice and healthy and pretty low in calories. 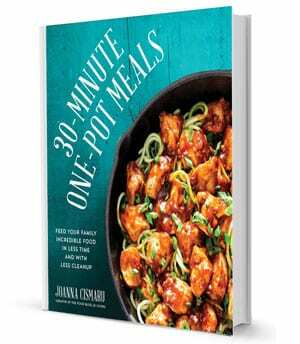 I served mine with some gorgonzola orange chicken, I’ll share the recipe with you later in the week. 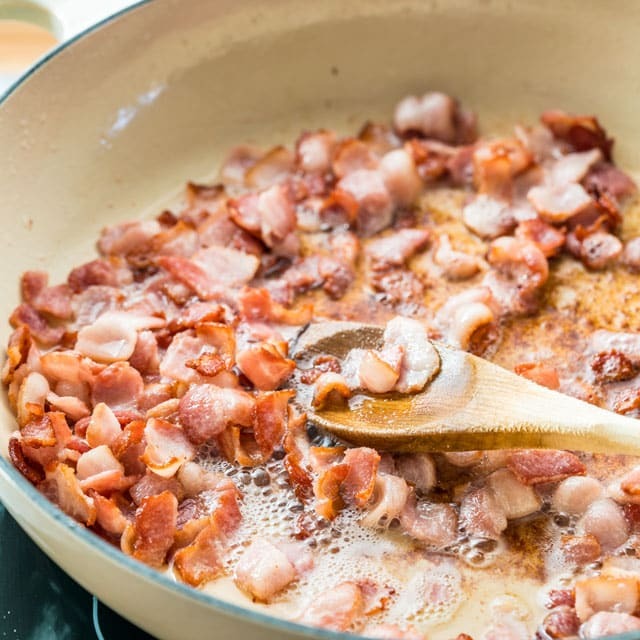 Add the chopped bacon to a large skillet and cook over medium heat until the bacon is nice and crisp and most of the fat has rendered, should take about 5 minutes. Add the soy sauce, brown sugar and water to the skillet and stir. Bring to a boil. Add the green beans and toss them around a bit, so they get covered in the sauce. Reduce the heat to a medium-low, cover the skillet with a lid and simmer for 15 minutes. 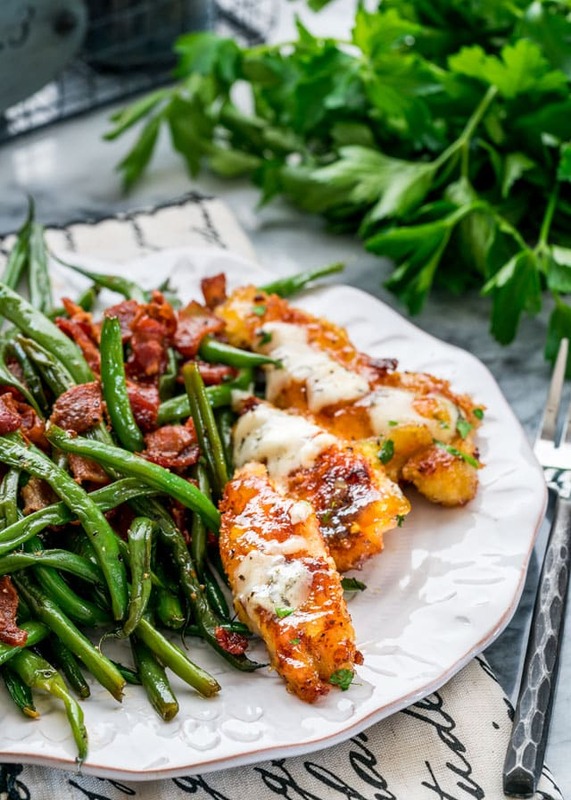 The green beans should be crisp-tender when done. Season with salt and pepper if needed, then serve. This recipe is very versatile and can be used on different types of vegetables. Try it on carrots, broccolini, asparagus, peas, or whatever your favourite vegetables are! 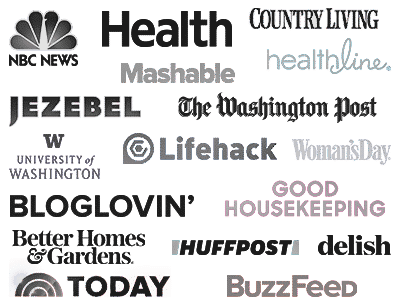 Your videos do not work, example Old Fashion green beans. If you’re blocking ads in your browser, the videos won’t work. I love anything green beans! It’s so easy to make and looks yummy. I must try this. OMG vegetables with bacon? Brilliant! Only one word for this – Brilliant!